The most Googled product (or perhaps ‘service’ is a better term) price in Brazil is a prostitute. In New Zealand it is a vasectomy. And in Korea it is rhinoplasty. 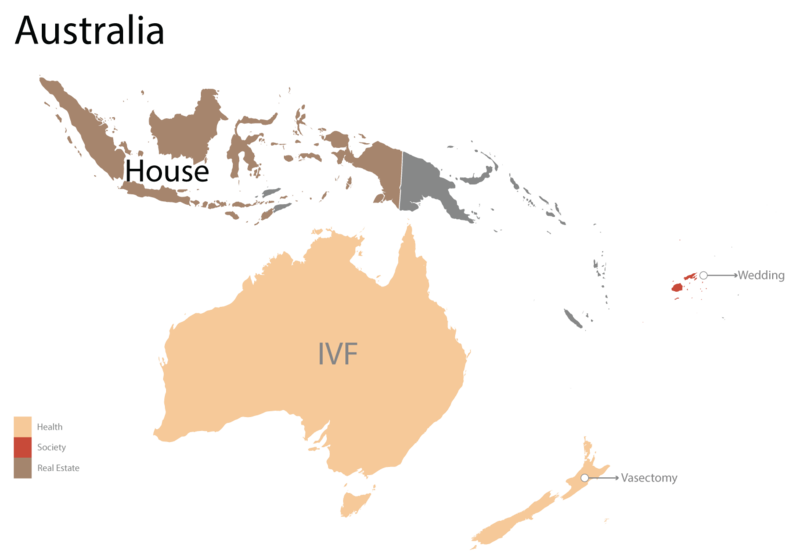 In Australia it’s IVF (really?). 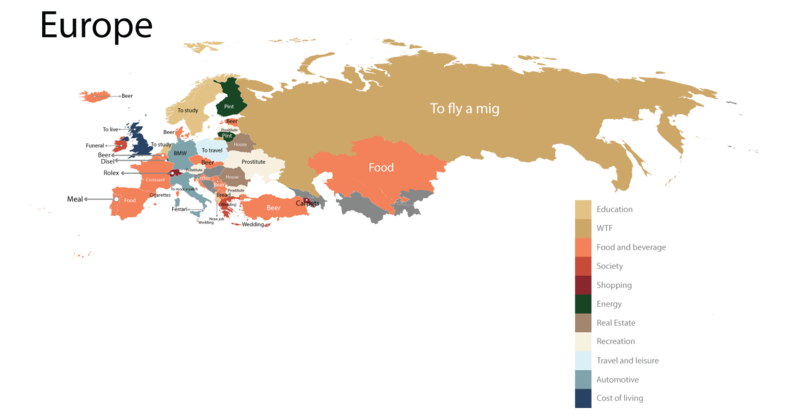 Cost estimating website fixr.com used an autocomplete formula to determine the most Googled thing in each country. They then recorded the information gathered and put it into an infographic to see how countries and continents compare. Let’s take a closer look at the continents. While Kiwis are greatly concerned by birth control, Aussies are more interested in the gift of life. Europe is filled with stereotypes with croissants being popular in France, BMWs in Germany and Rolexes in Switzerland. Flying an MiG (a Russian fighter aircraft) is of interest in Russia, prostitutes popped up again in Ukraine and nose jobs in Albania. 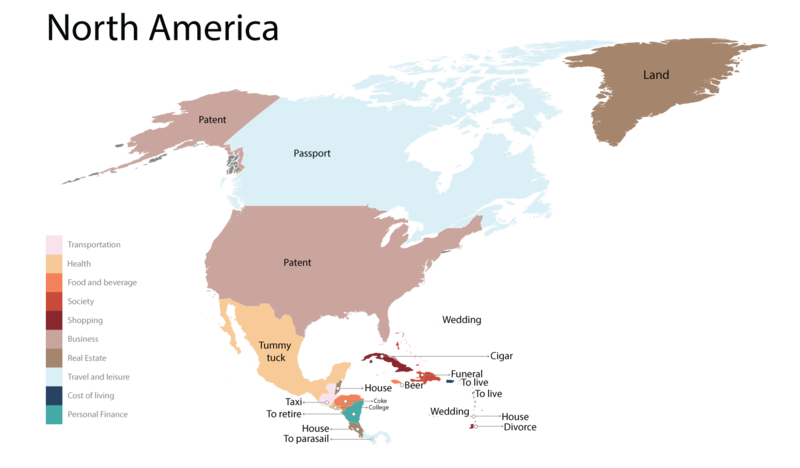 Passports seem to be top priority in Canada, begging the question, are Canadians wanting passports to get out, or is the rest of the world Googling for passports to get in? Panama hats are all the rage in Ecuador. Prostitutes are in high demand in Brazil and Uraguay and coke is a popular beverage/recreational drug (we’re not quite sure) in Chile. 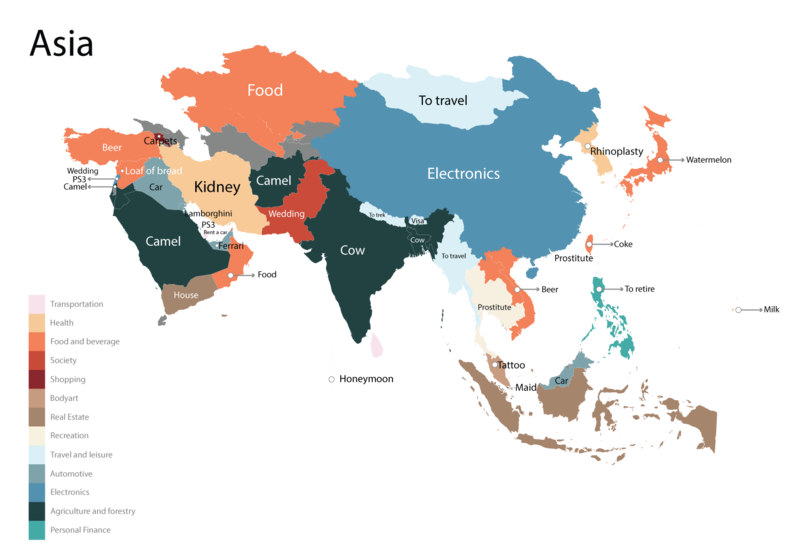 Asia boasts the widest variety of all the continents with people interested in the price of a Play Station 3 in Lebanon, Lamborghinis in Kuwait, watermelons in Japan, maids in Singapore and carpets in Armenia. 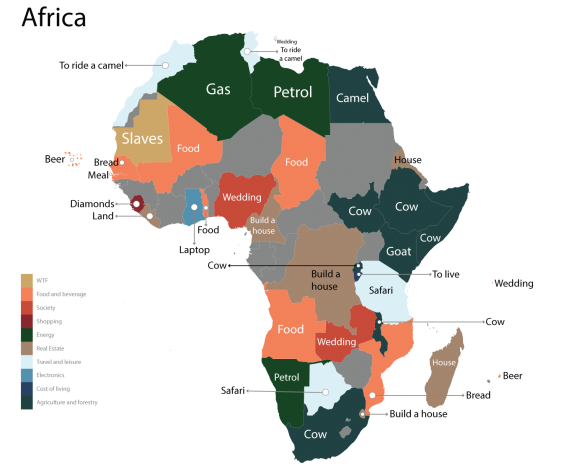 The cost of a cow seems to be the top of South Africa’s most googled list, while other life necessities such as food, petrol, camels and building a house are more sought after in many other African countries. Interestingly while people are more concerned about buying diamonds in Sierra Leone, the cost of a slave is more commonly googled in Mauritania. And finally in Antarctica, the most common search is for the cost of land (and there sure is a hell of a lot of it). While the results of this study may not be foolproof, they certainly do reveal the various cultural differences across – and within – continents.